The most recent and respected research on how temperament can affect a child's progress toward developmental milestones and responses to new experiences. Research shows that many challenging behaviors are connected to a child's inborn temperament, the unique set of characteristics that each child is born with. When adults who work with children understand what makes a child tick, they can adapt their parenting, teaching, or treatment protocols to the individual needs of each child. Coauthor Helen Neville has updated the contents of the original edition of Temperament Tools to reflect the latest understanding about inborn temperament and its effects on behavior. Certain behavior clusters go with certain combinations of temperament traits and some clusters result in a child who can be quite a challenge. 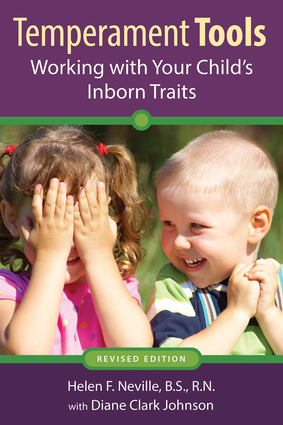 This book describes many types of children and offers strategies to help deal with behavior resulting from inborn temperament. Parents fill out a temperament chart to help define and understand their child, then consult the appropriate chapter that refers to that type of child. Temperament Tools avoids the use of psychological jargon while featuring the extensive practical understanding of children and their parents' questions and needs for skills. Adults using the book find the sections on practical ways to handle kids with temperament in mind to be valuable for restoring peace in home or school. Helen F. Neville, BS, RN, is a longtime pediatric nurse and a parent educator who directed the Temperament Project at Kaiser Permanente Hospital in Oakland, California. She is the author of Is This a Phase? ; Mommy! I Have to Go Potty! ; and What to Do About Sleep Problems in Young Children, 12 Months to 5 Years. Diane Clark Johnson is the coauthor of the first edition of Temperament Tools.